Daily Disposable lenses are the healthiest and most convenient option for your eyes. They are made with the most advanced materials providing the ocular surface with more oxygen, improved comfort and excellent moisture. While bifocal and progressive lenses are useful, do you ever wish you could go back to seeing up close and at a distance without the help of glasses? Well now you can! Schedule an appointment today to try out these contact lenses. Are you nearsighted and you are worried your child may be as well? Schedule today for a myopia control consultation. Today we have many tools to prevent myopia (nearsightedness) for kids while they are young. We fit specialty contact lenses such as scleral lenses and RGPs for our patients with keratoconus, post corneal graft surgery, and dry eyes. See clearly at distance and near without the need for glasses. We specialize in fitting our patients with multifocal lenses. Say goodbye to progressives and readers! New To Contacts? We're Here To Help! We spend time with each patient to ensure you are properly trained on insertion and removal of contact lenses. We also see out patients for follow ups to make sure you are adjusting to new contact lenses appropriately. Ready for new contacts? 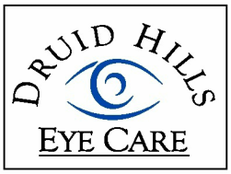 We carry a multitude of trial contacts in just about every prescription and lens design. Once we’ve established the contact that provides you with the perfect fit and extraordinary vision, we’ll make sure you’ll receive your annual supply promptly. We’ll dispense your contacts from our inventory or provide complementary shipping of your contacts to you.